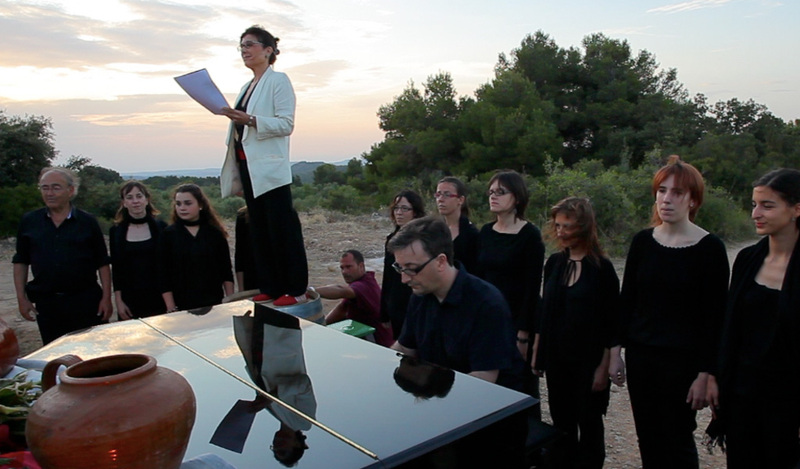 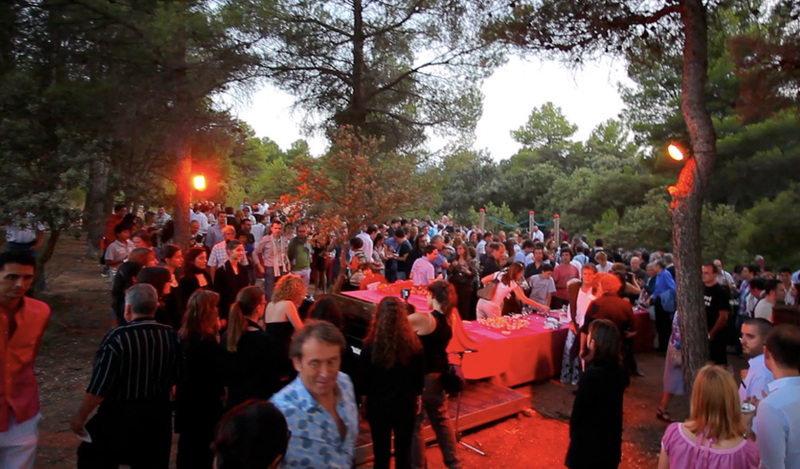 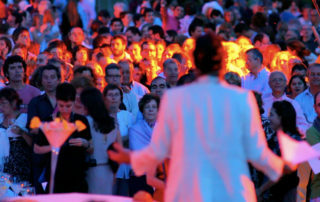 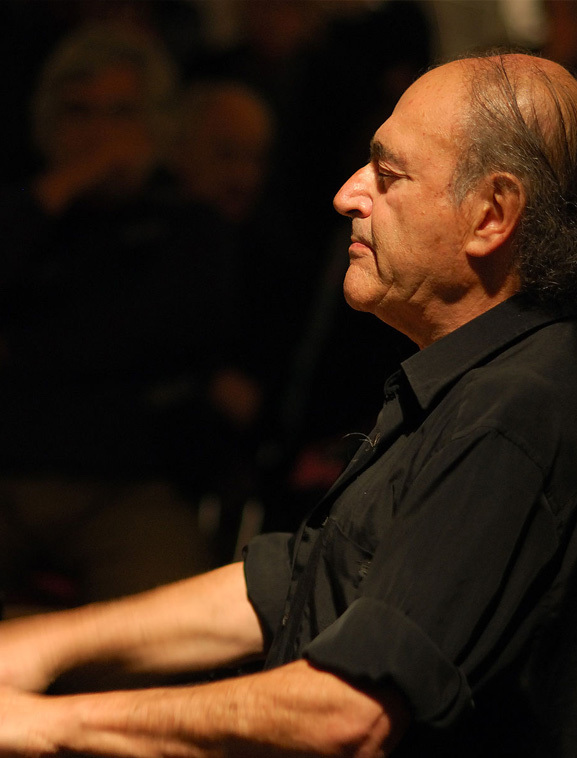 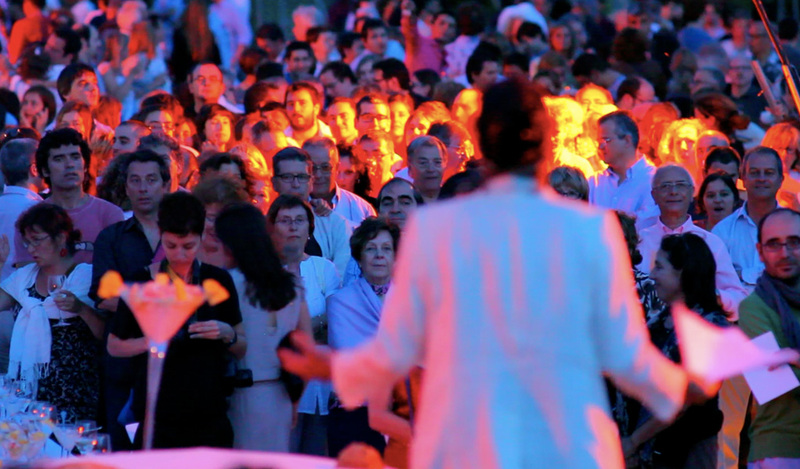 Year 1 was dedicated to the great musician and composer Carles Cantos, who created Sounding Wine, a great musical show, a unique walk through the history of music and gastronomy. 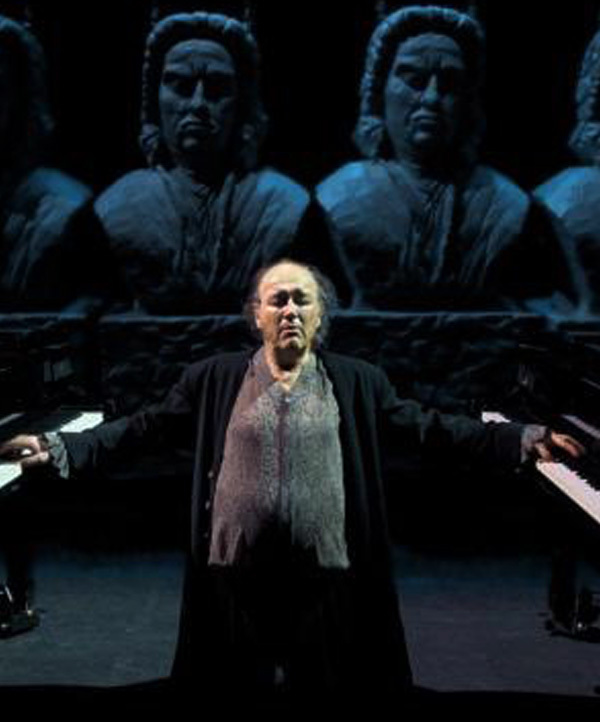 Five pianists, a flying violinist and a choir, in that singular space, captivated the audience, giving them an unforgettable night. 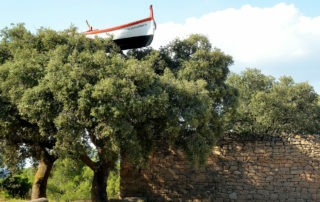 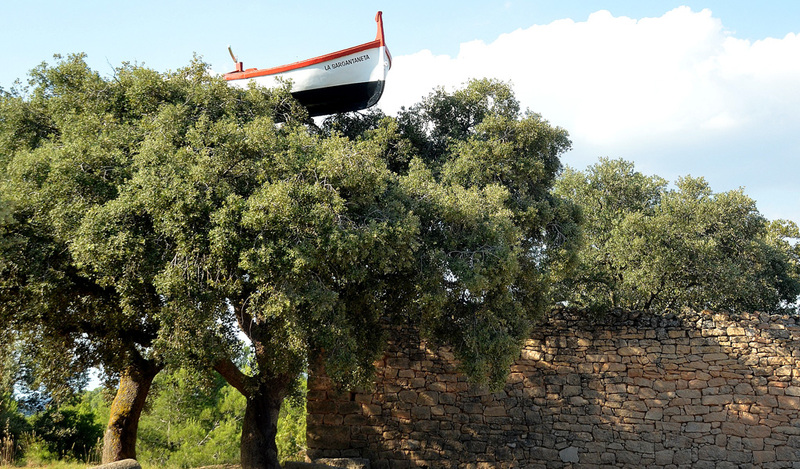 As testimony of his time at The Artists’ Vineyard, Carles Santos left his legendary boat “La Sargantaneta” [The Little Lizard] sailing on top of an oak tree from the Guino Era. 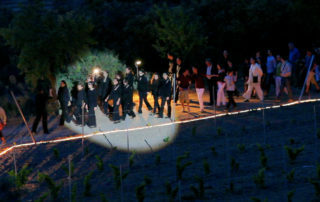 Opening. 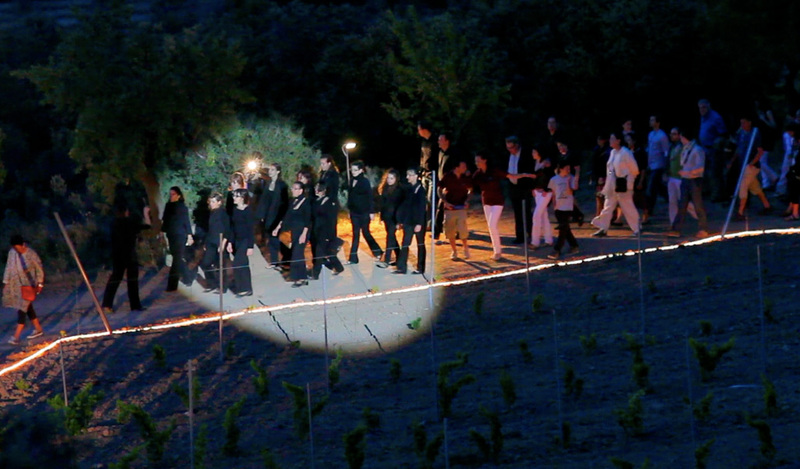 Year 1 at the Artists’ Vineyard. 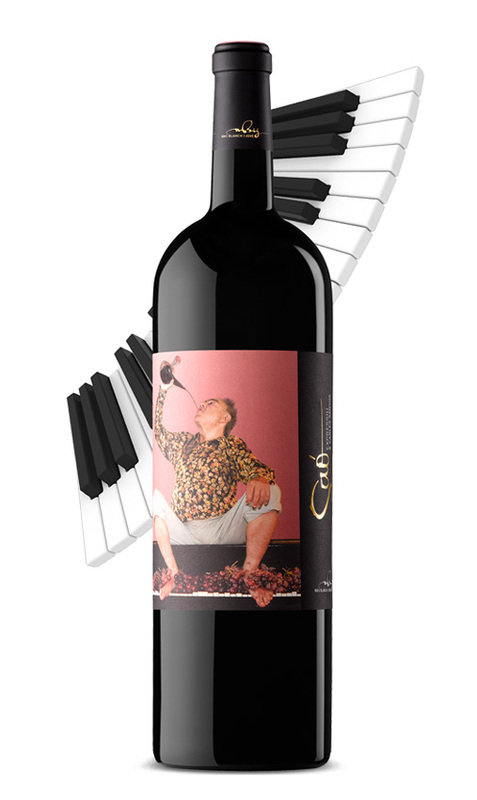 Classical musician. 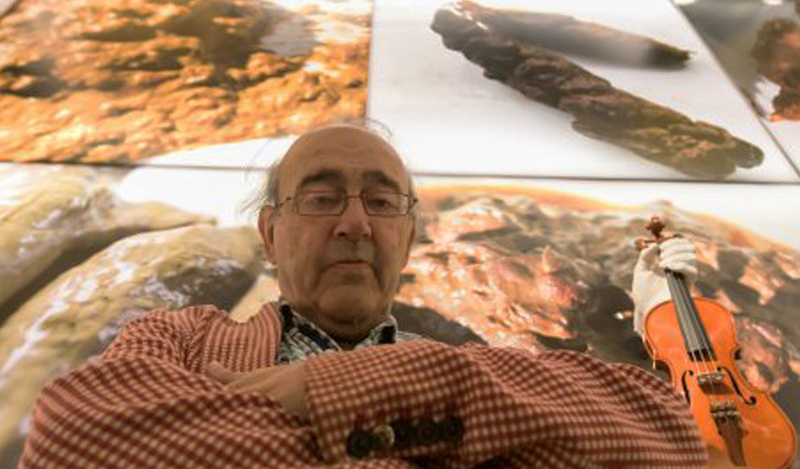 From 1978 to 2017 he devoted himself exclusively to the composition and interpretation of his own work. 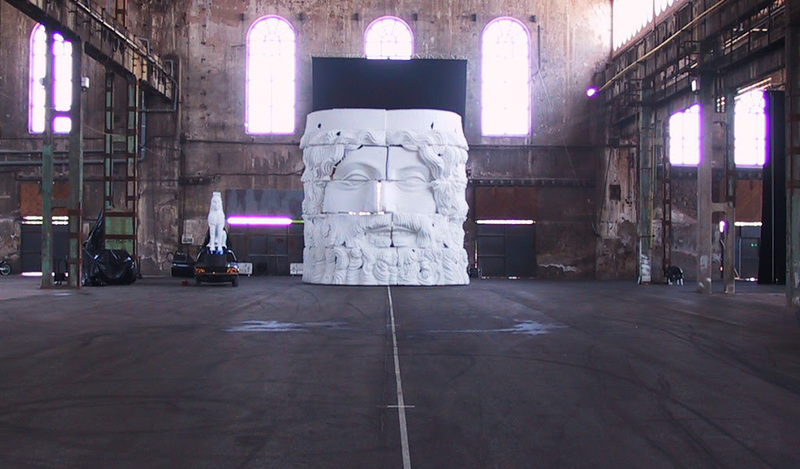 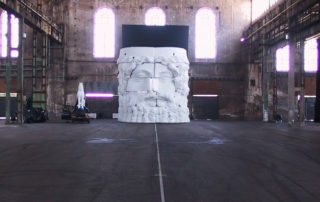 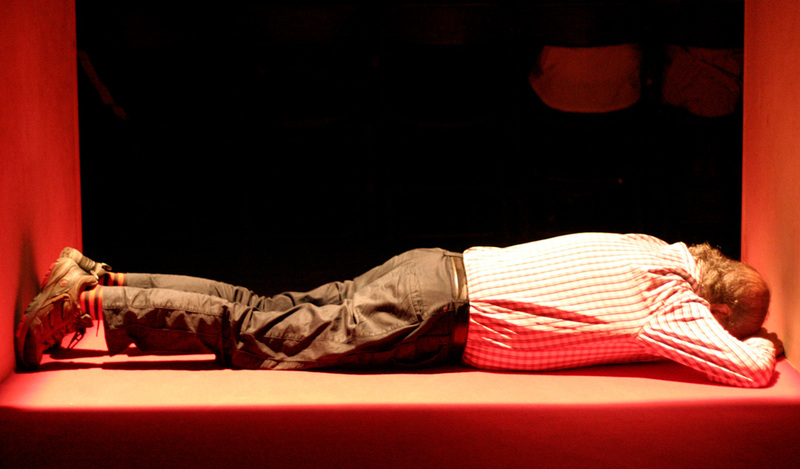 Apart from musical production he created a series of artworks that, due to their multidisciplinary characteristics, are presented as theatre. 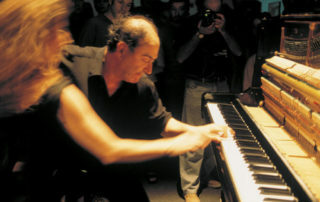 He also made musical compositions for major events such as the Fanfares of the Olympic and Paralympic Ceremonies of Barcelona ’92, and the “Fanfarria Bienal para 2.001 músicos” [Biennale Fanfare for 2,100 musicians], on the occasion of the inauguration of the Valencia Biennale, and in November 2001 a stage version of the Cantata “El adios de Lucrecia Borgia” [The farewell of Lucrecia Borgia] – premiered in Valencia the same year – was made for the inauguration of Teatre Lliure’s new headquarters in Barcelona. 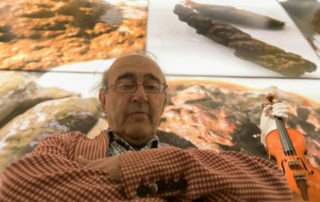 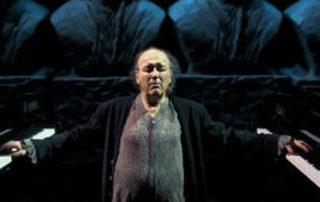 Carles Santos received several honourable mentions for his work and artistic projection, like the City of Barcelona award for International Projection 1996, the City of Barcelona Music Award in 1993, the “Creu de Sant Jordi” in 1999, the FAD in 1998, the National Composition Award of the Generalitat de Catalunya in 1990, the 2001 National Theatre Prize of the Generalitat de Catalunya, the Gold Medal by Círculo de Bellas Artes in 2007, the best 2008 para-theatrical work by the Association of Critics of Barcelona for “Brossalobrossotdebrossat”, the Gold Medal by Jaume I University of Castellón. During his career he has received 13 MAX awards and was awarded the National Music Award in 2008.